Can anyone give me a tip on how to remove the motor from the base of this Westinghouse Fan? There seems to be some kind of pin going through the adjustment bolt that will not let me remove it. I got the same problem. Anyone ever pulled one of these apart? There's no C clip holding the head to the base. The pin wont slide out off the base with the neck screws out. 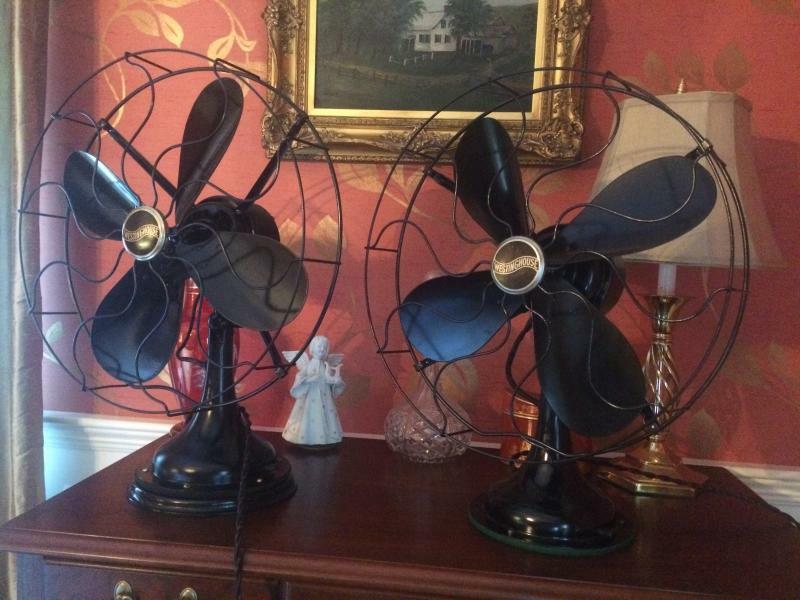 I've done a couple of these fans. If memory serves, this is a 1923 or so Westinghouse with a Micarta blade. There is no trick to getting the pin to slide out of the base. Take the eared screw out. That eared screw is inserted into a sleeve that has a hole through which the stem passes. The hole in that sleeve must line up perfectly inside the neck for the pin to pass through it. If it isn't lined up perfectly, the stem will catch on the edge of that sleeve and will not come out. So once you take the eared screw out, try tapping the sleeve a little to line up the hole. I seem to recall that there is a set screw on the opposite side of the eared screw. That needs to come out first as well. I have given both of the above fans away so I can't refer to them (since I don't have them anymore) but it isn't too difficult i.e. there's no special trick to it. Page processed in 0.1938 seconds (34% database + 66% PHP). 31 queries executed.